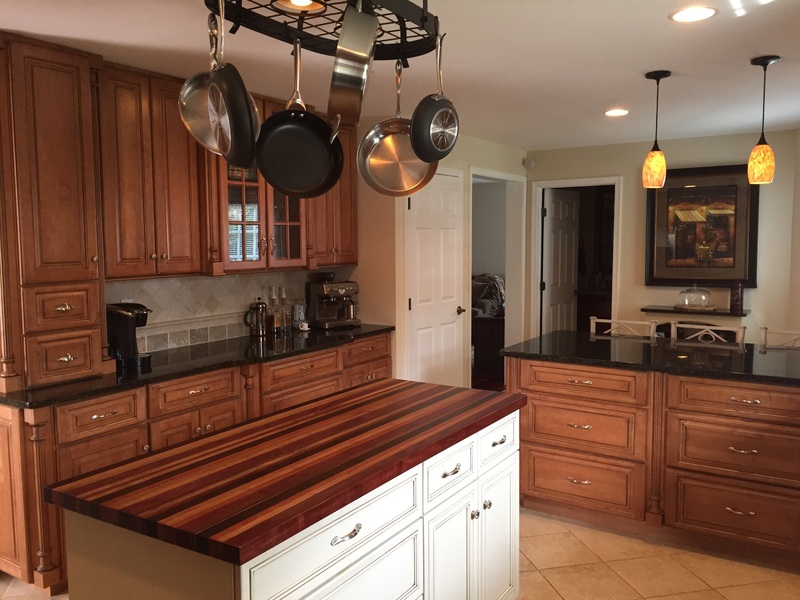 This kitchen was a total remodel starting with new ceramic tile flooring, new custom shloe cabinets with 42″ wall cabinets with many clipped corners and bump outs. 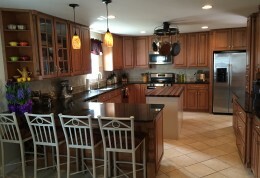 We installed light rails, low voltage lighting, granite counter tops, custom backsplash and pendant lighting. 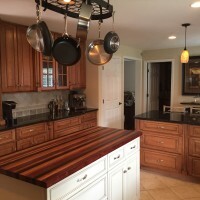 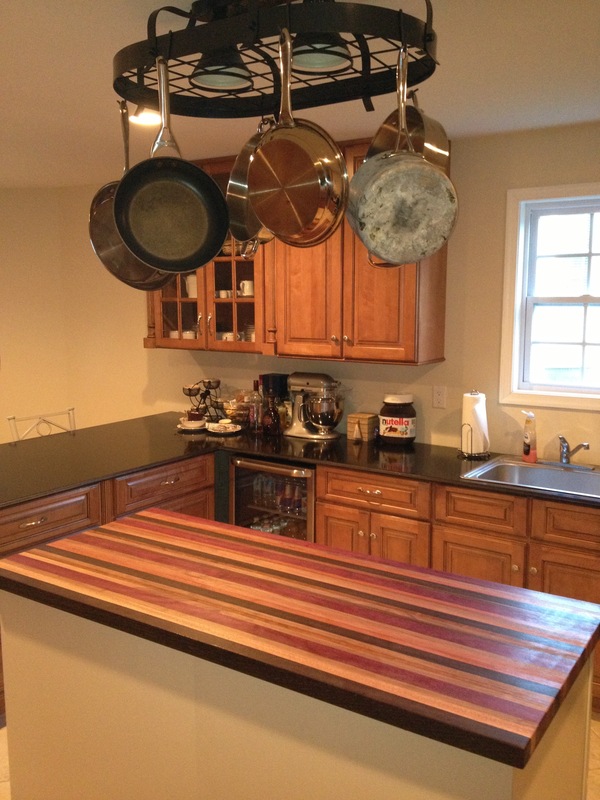 The island was installed with custom Mauser cabinets. 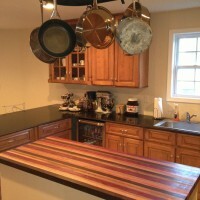 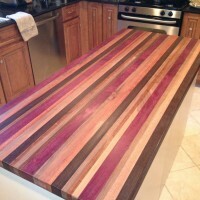 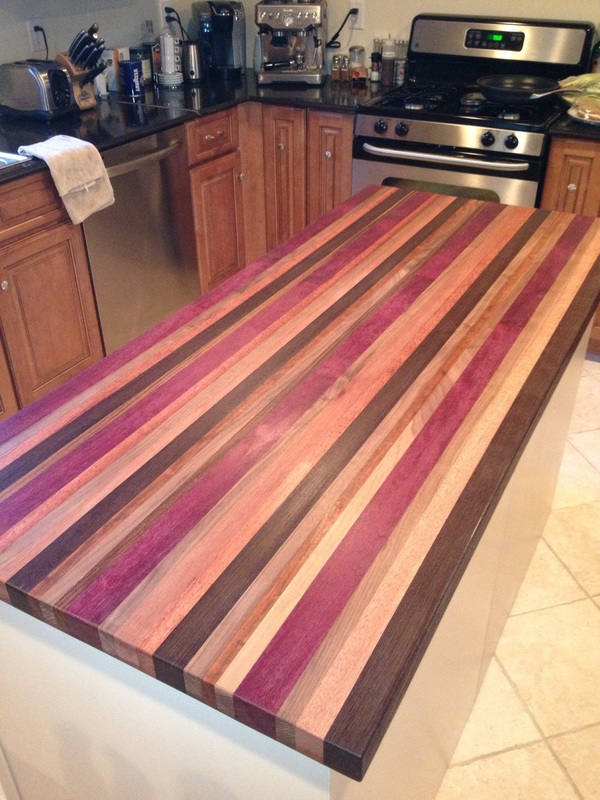 The butcher top is one of a kind because we built it in our shop using all exotic African hardwoods (purple heart, ebony, tiger wood, teak, Babinga, etc) the pot rack was to large and had to be shorten up and repainted to achieve perfection.